Wuthering Heights - Description | W. W. Norton & Company Ltd.
For the Fourth Edition, the editor collated the 1847 text with the two modern texts (Norton’s William J. Sale collation and the Clarendon), and found a great number of variants, including accidentals. This discovery led to changes in the body of the Norton Critical Edition text that are explained in the preface. New to "Backgrounds and Contexts" are additional letters, a compositional chronology, related prose, and reviews of the 1847 text. 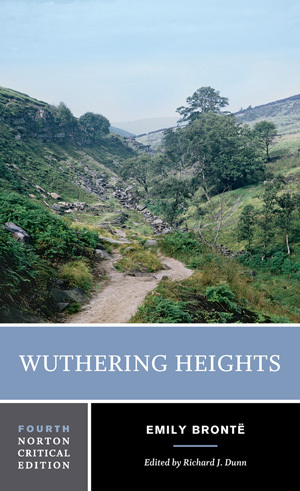 "Criticism" collects five important assessments of Wuthering Heights, three of them new to the Fourth Edition, including Lin Haire-Sargeant’s essay on film adaptations of the novel.